We are a foremost & reliable organization engaged in offering excellent Financial Consultancy Services. Our varied services include Business Finance Consultants, Corporate Financial Consultants, Talent Solution Services, and Accounting & Compliance Services. All these services are offered with the help of our skilled professionals while complying with the industry standards. Along with this, these services are offered to clients at economical prices and within the stipulated time period. S R Corporate Service Private Limited (SRCSPL) is engaged in providing the financial solutions to various SMEs in India particularly in Mumbai & Thane through various financial institution and Banks. Our Financial solution products have a wide range for various business needs. 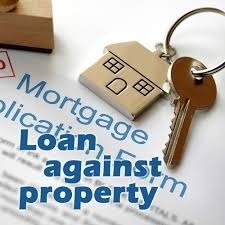 A loan against property (LAP) is exactly what the name implies, a loan given or disbursed against the mortgage of property. The loan is given as a certain percentage of the property's market value, usually around 40 per cent to 65 per cent. Loan against property belongs to the secured loan category where the borrower gives a guarantee by using his property as security. The purpose of the loan is not definite; one can use it for personal or commercial as well. In certain bank this product is designed to meet the requirement of entry level entrepreneur, who does not have any track record of business. They can use this product by way of term loan or working capital facility. Purpose of the loan is to encourage SME green field projects which are at inception and because of lack of capital they could not grew. Procedure involves in this product is relaxed a bit and also rate of interest charged and processing fees is quite attractive. Once the loan is availed the same can be converted into a regular limit after certain period and of course, depend upon financial performance of the company. The company equally is strong in providing the Financial Solutions to various SMEs in India through various financial institution and Banks. Our Financial solution products have a wide range for various business needs. In general, project finance covers green field industrial projects, capacity expansion at existing manufacturing units, construction ventures or other projects. Capital intensive business expansion and diversification as well as replacement of equipment may be financed through the project term loans. SRC help in getting working capital finance from Nationalize Bank, both secured and unsecured. We at SRC assess the actual requirement of business and then convince bank for the same. 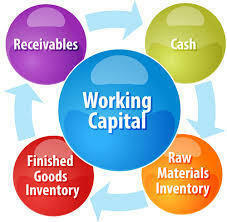 Working Capital can be in the form of CC / OD, Dropline Overdraft, Bill Discounting etc. The company equally is strong in providing the financial solutions to various SMEs in India through various financial institution and Banks. Our Financial solution products have a wide range for various business needs. In general, project finance covers green field industrial projects, capacity expansion at existing manufacturing units, construction ventures or other projects. Capital intensive business expansion and diversification as well as replacement of equipment may be financed through the project term loans. SR Corporate helps in getting business loan in or around Mumbai from Natioanlise Bank. This can be in the form Working Capital Facility, Term Loan, Letter of Credit, Bank Guarantee etc. The same can be arranged with or without collateral security. We deals in nationalise bank viz State Bank of India, Central Bank of India, Corporation Bank, Bank of Baroda & Dena Bank. SR Corporate Services Pvt. Ltd. is a dynamic company driven by next generation entrepreneurs, who have imbibed values like trust and dependability into the very core of the company. It offers a comprehensive range of services for business set up including Entity Setup, Talent Solution, Accounting & Compliance, Consulting and Assurance Services. WE (SR Corporate Services Pvt Ltd) are a consultancy firm based in Andheri (Mumbai). We helps business in getting finance from Nationalise Bank viz, State Bank of India, Central Bank, Corporate Bank etc. in the form of working capital and term loan. SR Corporate Services offers a comprehensive range of services for business set up including Entity Setup, Talent Solution, Accounting & Compliance, Consulting and Assurance Services. Company equally is strong in providing the financial solutions to various SMEs in India through various financial institution and Banks. Our Financial solution products have a wide range for various business needs. 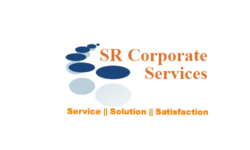 SR Corporate Services Pvt Ltd is a consultancy firm based in Andheri (Mumbai). We help in getting business loan for New Start Up as well existing units from Nationalise Banks.